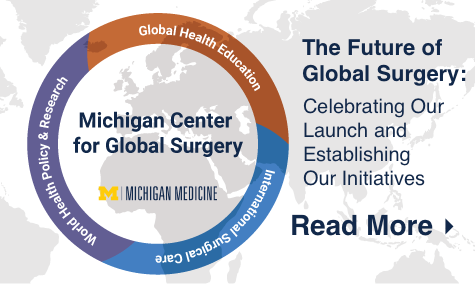 The Michigan Medicine Department of Surgery is a part of the global community, and we are committed to creating long term collaborations with partners around the globe. Guided by the concept of “convergence science,” we feel a strong sense of urgency to build partnerships internationally that will introduce surgeons and surgical residents to new knowledge and approaches — because big leaps come from new settings and ideas. 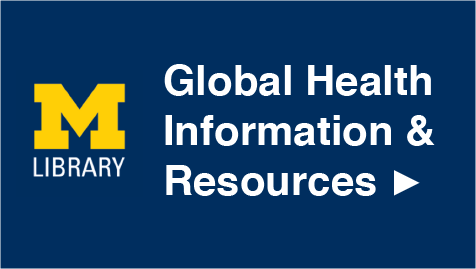 Today, faculty and trainees in the U-M Department of Surgery engage in global health projects in 6 countries and 4 continents. These efforts include clinical missions to deliver specialty care such as cleft lip and palate repair, collaborative quality improvement projects, resident training opportunities in rural and tertiary referral centers, and research collaborations with sister institutions. U-M surgeons also serve as faculty leaders for the Medical School’s Global Reach program, focusing on international collaboration in the health sciences. By joining with institutes abroad, we can develop long-term relationships that improve quality and delivery of care, creating a positive ripple effect for communities in China, India, Colombia, Ethiopia and others — as well as the chance for new scientific collaboration and discovery.